This 8-inch slate features a quad-core Intel Atom processor, 1 GB RAM, 16 GB of internal storage, microSD support up to 64 GB, and comes preloaded with Nook. E Fun announced a new 8-inch Windows tablet earlier this week. The Nextbook slate is scheduled to go on sale in Walmart stores for only $99 USD on Black Friday. This is the second Windows tablet from E Fun, a company that is the fifth largest tablet supplier in the United States. E Fun Nextbook weighs less than one pound and has 8.5X4.6 inches in size. During the one-day Black Friday promotion, its retail package will include a free 16 GB microSD memory card. The tablet can be purchased now for $149 USD from Walmart.com and will hit SamsClub.com next month. WEST COVINA, CA – November 13, 2014 / PR Newswire / — E FUN, the fifth largest tablet supplier in the U.S.*, announces its newest 8” tablet with Windows coming to Walmart stores for $99 on Black Friday. The 8” Nextbook is the second Windows tablet from E FUN that was built in collaboration with Microsoft Corp. and Intel to make the latest technology more affordable for families. It is an incredible value with a one-year subscription to Microsoft Office 365 Personal that includes 1TB of OneDrive cloud storage. The 8” Nextbook tablet comes with 16GB of internal storage as well as a bonus 16GB microSD memory card, as part of a special Black Friday promotion, that immediately doubles the unit’s storage capacity right out of the box. 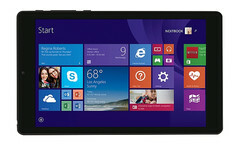 For more information on the new 8” Nextbook tablet with Windows, visit http://nextbookusa.com/productdetail.php?product_id=22. “With new products such as Nextbook from E FUN coming to market, consumers have the choice of high quality tablets powered by an Intel Atom processor. These tablets will offer lightning fast performance and long battery life with a very affordable price this holiday season,” said Erik Reid, vice president of Intel Mobile and Communications Group and general manager of the Tablet Business Unit. 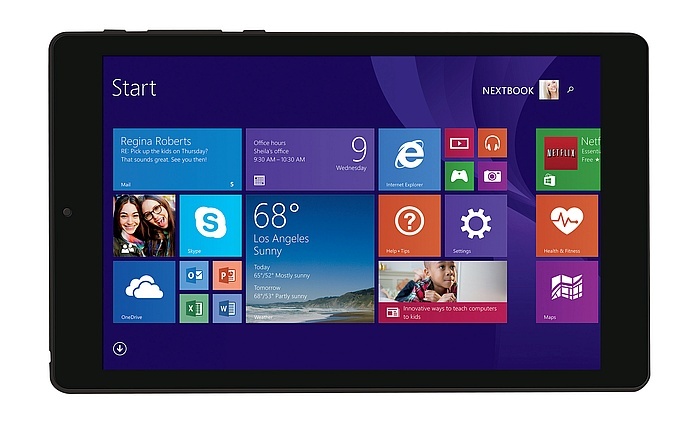 The new 8” Nextbook tablet with Windows is available now on Walmart.com for $149 everyday and will be available in December at SamsClub.com. The special $99 Black Friday pricing at Walmart is available for one day only while supplies last.